Section 269SS and 269T of Income Tax Act,1961 been explained in the Article. 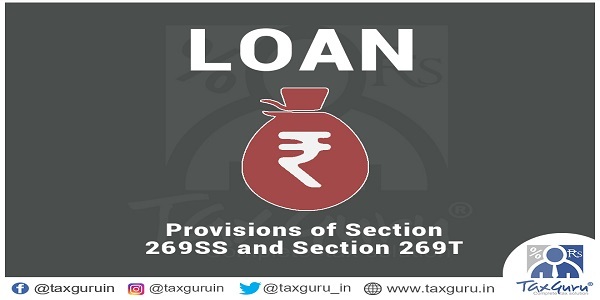 Section 269SS and 269T deals with restrictions on taking Cash Loan of Rs. 20000 of more than and its repayment in cash. (iii) Any corporation established by a central, state or provincial act. 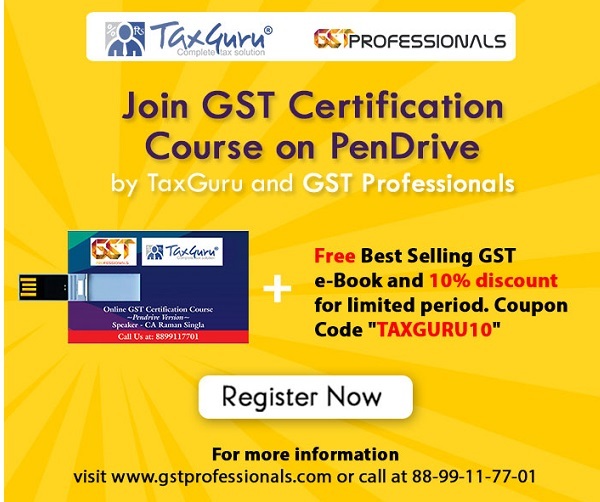 The second proviso to this section shall not be applicable in case the either lender or borrower have any income other than agriculture income or any of them have income chargeable to tax. So in other words, both the lender and depositor should have agriculture income and neither of them should have any income chargeable to tax, then the second proviso shall apply. (iv) “specified sum” means any sum of money receivable, whether as advance or otherwise, in relation to transfer of an immovable property, whether or not the transfer takes place. Nothing contained in this provision shall apply, where the repayment is by a branch of a banking company or co-operative bank, such repayment may also be made by crediting the amount of such loan or deposit to the savings bank account or the current account (if any) with such branch of the person to whom such loan or deposit has to be repaid . In the second clause Where if assessee made a fixed deposit with the bank for Rs.18000/- and after one year the bank has to repay RS.21000/- , then the bank cannot pay such amount in cash. If any of the above provisions are violated then the penalty shall be equal to the amount of loan or deposit taken or accepted or repaid. In this case there was a current account in the books of the assessee in the name of the one of the directors who used to pay money into the current account and also withdraw money from the same. The department treated these payments and withdrawals as violation of section 269T as they were made in cash. Disapproving the action of the department the High court has held that “the deposit and withdrawal of money from the current account could not be considered as a loan or advance. Accordingly the order of the tribunal by which the penalty was cancelled was affirmed. Similar view taken by ITAT Bench, B, Banglore in the case of M/s CANARA HOUSING DEVELOPMENT CO. Vs. ACIT ITA No.1425/Bang/2008. 2. Whether the provisions of above section applies to payments or receipt by way of journal entries. In the case of Narsingh Ram Kishor Kumar Vs. Union of India and Others a reference has been made to the explanatory notes of finance act, 1984 by which section 269ss was inserted. It was interalia mentioned that unaccounted cash found during search and seizure operations is often explained by tax payers as representing loans or deposits from various persons. With a view to countering this devise a new section has been inserted debarring the person from taking or accepting loans or deposits otherwise than by account payee cheque or demand draft. Hence where the transactions entered in cash are genuine and reasonable cause, as required u/s 273B, is shown penalty u/s 271E/271D is not called for. In the case of CIT Vs. Sunil Kumar Goel, (2009) 315 ITR 163 (P&H) it has been mentioned that under section 273B, the assessee is permitted to show cause and tender explanation. The explanation of the assessee was found to be bona fide by the tribunal and it was also held that it was not aimed at avoiding any tax liability. The genuineness of the transaction was accepted. In the case of CIT vs. Balaji Traders, 303 ITR 312 (Mad) it has been held that deletion of penalty was justified in a case where:- (i) creditors are genuine and transactions not doubted (ii) there is no revenue loss to the exchequer, and (iii) there is business exigency forcing the assessee to take cash loan. In the case of Omec Engineers Vs. CIT (2007) 294 ITR 599, it was held that where there is no finding that transactions were not genuine and there is no malafide intention, the penalty could not be sustained in law. In the case of CIT vs. Maheshwari Nirman Udyog, (2008) 302 ITR 201 (Raj), it has been held that where a reasonable explanation is furnished, levy of penalty u/s 271D is not justified. In the case of CIT Vs. Standard Brands Ltd. (2006) 285 ITR 295, it has been held that where deposit received in cash has been treated as undisclosed income in the hands of the assessee, no substantial question of law arises from the order of Tribunal wherein penalty u/s 271D is deleted. In the case of Baidyanath Plastic Industries (P) Ltd. 230 ITR 522. In case of Loan it is ordinarily the duty of the debtor to seek out the creditor and to repay the money according to the agreement. However in the case of deposit it is generally the duty of the creditors to seek the depositee and make a demand for it. While Articles 19 and 21 of the Limitation Act fix the period within which a suit for recovery of a loan can be filed which is three year from date of borrowing, Article 22 deals with the period of limitation for suits for money on account of deposit which is three years from the date demand is made by the depositor. However the transaction should be bonafide and shares should have issued or otherwise if the shares have not been issued and money is repaid the intention of receiving the money as share application money should be clear which can be established by showing that authorized capital has been increased or later on shares has been issued. 7 . Whether receipt and payment of Partners Capital by partnership firm amounts to violation of section 269SS and 269T. No, Says the Ahemdabad Income Tax Appellate Tribunal in the Case of ITO, Ward 2(1) vs. Universal Associates, 2011-TIOL-498-ITAT-AHM, as partners capital is neither a loan nor a deposit. Yes, Says the Allahabad High court in the case of Chaubhey Overseas Corporation Vs. CIT  303 ITR 9 (ALL). Trade deposits are included in the definition of Deposit. What are the Documents required for Filing of Income Tax Return ? sir ours is a co operative society , is the clause 2 of 269ss applicable to us? can we eligible to accept the amount (rs 200000 and above)from members of the society to their savings bank a/c and make the payment to them through withdrawal slip of our society ? If a company can receive cash against sale of goods. If yes upto to what amount. If no, then what is the specified limit to receive cash. when the lender is an individual then what will be the course of action for the defaulters. What is the difference between Sub Clause (a) & (b) of Clause 31 of FORM 3CD ? I have just sold my 1700 sqr.feet plot.now i’m in dilemma about the mode of receipt from buyer of plot.i have sold it for Rs.1575000/-.whereas as per government valuation it amounts to Rs.735000/-.please guide me which mode of receipt should i prefer to accept from him considering all norms of income tax. If Interest on unsecured loan is credited, should we show in 269ss. and If Tds on interest of unsecured loan is debited, should we show in 269t as payment…in Audit Report. Loan taken and repayment of loan in installments on oral agreements through cheques or online payment over two years how it should be regulated Sir? In the b/S of a public ltd.co. invested shown for share application money of Pvt. Ltd.co. In the next year this investment reduced to Nil. It is stated that they have sold the same to another 3 persons and the same was shown in bank account of the company. Can the same treated as unexplained cash credits? Pl. clerify. does 269T signifies that a person cannot draw Self cheque of amount exceeding Rs.20000, if yes how 269T permits? Is there any need to report if amount of loan taken by way of account payee cheque exceeds rs 20000/-, in 3cd and why ?? A Company made repayment of hand loan of Rs.100000 to an Individual. How Section 269ss and 269t applies.Should we disallow this expenses as per section 40A [expenses made in cash in excess of Rs.20000]. The following transaction took place between A & B. A made some cash expenses on behalf of B (e.g.Rs.100000/-). Now B treats this as a loan and repays the amount to A at a later date through an account payee cheque. Is there any violation of Sec 269SS & 269T? Whether payment of salary advance to employee attracts section 269ss? Out of Loan of Director in Company if Life Insurance premium / Personal Expenses etc are paid would it amount to violation of 269T? if not what shelter we can take. PARTNERSHIP FIRM OPEN O/D ACCOUNT AGAINST THE SECURITY OF FIXED DEPOSIT AND WITHDRAW MONEY FOR INDIVIDUAL PARTNERS. THAT MONEY THEY PURCHASE PROPERTY FOR PERSONEL NAMES. BANK CHARGE INTEREST. CAN THIS EXPENSES IS FIRM EXPENSES OR PERSONNEL EXPENSES. If there is a payment of Rs 25,000 of security deposit by way of issuing a credit note, is it allowed as per section 269T?? if person takes rs. 18000 in cash and repaid the same during the year and account is nil if he takes more 19000 in cash and repay the same in the same year. does 269s & 269 t applies. sir thank you for guidance regarding this provisions. i want to ask you question that if there is only transfer entry i.e. first Debited than credited to the same account. it will attract this provision or not ? if there is only deduction of TDS and not payment of interest and other transactions for repayment will the repayment include this TDS amount ? Both sections imposes a restriction on borrower only, either it is taking loan or repaying it. What about the lender. If he gives loan in cash, will he also be liable under the provisions or it is only the borrower. Can anyone clarify?? I HAVE UNDERSTOOD THE PRIVISION OF 269SS,269T BUT I WANT TO CONFIRM THAT, IN 3CD REPORT HOW TO I MENTION THIS IN 3CD REPORT IF OUSATANDING AMOUT IS 20000 OR MORE AND THIS YEAR REPAYMENT IS 5000 BY CHEQUE . Section 269SS attracted when Loan amount touches Rs.20000/-. Hence, even the interest is not credited to the account section applies. As per section 269T if loan amount outstanding including interest payable thereon is twenty thousand rupees then the same attracts penal provision if payment is made in cash even for Rs.2000. in Your case according to my understanding it does not make any difference if u directly pay the interest without crediting the same in his account. Loan of Rs. 20,000/- is outstanding in the books of M/s/ A&Co.,(partnership firm). If interest of Rs. 2,000/- is credited to this account and paid penal provisions are applicable. If the same is paid directly without crediting the same in the books of account whether A&Co., can escape from penalty proceedings?